When the adventure bug bites the crazy nuts, they hardly look back to ifs and buts and head to the destination they want to. But I am not saying they don’t have any preference. Lol! After all they are the real explorers whose accounts inspire millions to be the actual explorer. If you wish to be among those trendsetters, head to Sikkim, where the Himalayan beauty is yet to be unveiled. Here the trekking trails at the lower levels are the best options to witness the virgin forest interwoven with cherry red and yellow rhododendron and magnolia flowers. On the other hand, the treks at high altitudes take different looks in winter when they are covered with a thick coating of powdery snow. The treks here usually vary from 1700 m to 4950 m and present opportunity of sighting the magnetic sun rising views illuminating the world’s loftiest peaks. Let’s take a virtual tour of the top high altitude treks of Sikkim that perfectly satiate the hunger of your thrill seeking soul. Trekking in Sikkim deserves attention for its wonderful vistas complemented with greenery abundant. Eye soothing, less polluted, and essentially peaceful Goecha La in West Sikkim is one such trek that offers all mystical elements to make one’s much awaited trekking expedition full of natural endowments. The actual trekking voyage starts from Yuksom at a height of 1700 m and reaches a height of 4850 m at Goecha La. 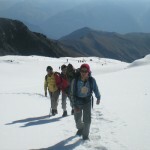 Expert and physically fit trekkers can complete the trek within 11 days. 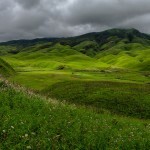 The raw experience of trekking can be enjoyed in this happening trail. The ever enchanting walk takes the visitors through the highest Rhododendron forests of the country and brings a chance of witnessing the sun-lit peaks of the highest peaks of the world at dawn. 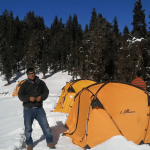 While travelling take rest on camps set near bewildering scenic landscape of Sachen and Dzongri. Or capture the breathtaking views of Samiti Lake. A picturesque milieu ideal to get involved in serious adventure activities, Sikkim Green Lake Trek is located at the base camp of mount Kanchendzonga on the Zemu glacier in north Sikkim. The trekking trail reaches a height of 4935 m meandering through the dense forests interspersed with blue poppies, varieties of rhododendron and primulas in bloom. The assortment of cascading waterfalls, small water bodies and colourful birds assembling by the lakesides generate a soothing feel that can soak up all the strains of ascending. The trek to Dzongri is perfect for those trekkers who cannot afford much physical strain but dream to see the closest views of the loftiest ranges with unaided eyes. In a span of around one week the trekkers can witness the spectacular views of the Himalaya from very close quarters. The trail snakes through the moss coated trails of oak, pine, chestnut, maple, rhododendron and magnolia and terminates at a height of 4000 m. The forest growing by the tracks are found to be dotted with wild plants, and unthinkable varieties of orchids hanging from trees and hillsides. While the distant views of the Himalaya will pull you magnetically to reach its base ASAP, the birds and butterflies flying in this dark greenery will compel you to wait for a while for capturing their best poses. The trekking lovers who wish to see more than mountain peaks and forest must embark on this route. A promising spot that epitomises the views of the five loftiest summits in the world brings a brilliant opportunity of walking close to the Indo – Nepal border. Passing through the edges of the dense forest, the trek takes the walkers through the trails adorned with rhododendron trees. Singalila is one of those few Himalayan travel spots that provide shelters to several species of endangered animals. Among the most exotic species, animals like Red Panda, Himalayan Thar, Blue Ship, Himalayan Black Bear and impressive pheasants like Satyr Trapogan, Blood Pheasant, and Himalayan Monal are worth seeing. Nambu, which lies in a remote corner of West Sikkim, is the gateway to this fascinating trek. Sandakphu is the highest point in this range at an altitude of 3636 m height. Undisturbed, well acclaimed and full of wonders, Kasturi trek is the ideal option for those trekkers who want to endeavour bit more than snow, forest and mountain views. Also known as the Round trek or Kasturi Trek, this route takes the visitors to the scenic Dzongri and Goecha La viewpoint and gets diverted at Thangsing on the way back. This particular trek takes the trekkers to a height of 4940 m presenting awe-inspiring views of the Kanchendzonga National Park Lampokhari Lake. The trek starts from Yuksum and ends at Tashiding Gompa which is located on a cone shaped mountain. Trekkers who are worshippers of nature and love to be amidst bare nature for extended duration of time must embark on this route. One of the most overwhelming treks in Sikkim, Kanchenjunga Base Camp Trek presents opportunities to spend some time in the lap of virgin nature. A minimum of 20 days is required to turn this trekking tour into a grand success. Offering some of the challenging yet delightful trails, the trek takes one to places that are utterly peaceful and peaks that are dream destinations of each trekker. 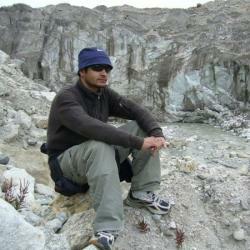 At Sandakphu one will get the opportunity of seeing Mt Everest and Mt Kanchenjunga at the same time. Starting from Yuksum the trek passes through Thoksa – Dzongri – Thangsing – Lamune and finally ends at a height of 4940 m at Goecha La. An excellent opportunity of traversing through the Singalila Range, Uttarey – Singalila Trek is an alternative to the traditional Yambong – Singalila trek. Passing through the border and ridges of India and the neighboring country Nepal, the trek offers some of the best panoramic views of the Himalayan landscape. 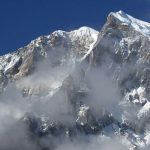 The trek is also known as the Lake trek or the Uttarey Chewabhangyang Trek and introduces one to some of the most scenic high altitude treks. Trekking can be started from Yuksom with Uttarey as the ending point. 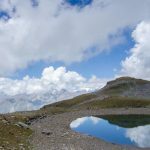 Apart from these well known treks there are a number of low altitude treks that are less strenuous yet full of eye catching beauty. 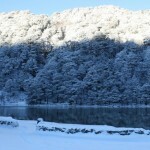 Tendong trek, Jhandidara trek, Mainam trek, etc. are some of the best low altitude treks in Sikkim. But, before travelling to Sikkim make sure that you have the pass to enter the state.